Want one swing for all your clubs? We’d like to introduce you to BioMatch® - the modern way to match your set of golf clubs using the sciences of biomechanics and physics to ensure your muscle memory only needs to learn one consistent swing across all your clubs. Watch your game effortlessly improve as you adjust to needing just one swing across all the clubs in your set. It's hard to argue with physics. If you really want to improve your swing, there’s something you should know about Swingweight - and it has a little something to do with the laws of physics. And so is your swing. The current method of determining Swingweight generates irrelevant data, not based on the physical properties of the club. It is a static measure. Your swing, on the other hand, is dynamic. Say goodbye to obsolete Swingweight-based technology. Meet your BioMatch Index - your key to a better game. Increase in accuracy as you eliminate the need for club "steering"
You're one swing away from a better game. The current method of determining Swingweight generates irrelevant data, not based on the physical properties of the club. It is a static measure. Your swing, on the other hand, is dynamic. We’d like to introduce you to BioMatch®. 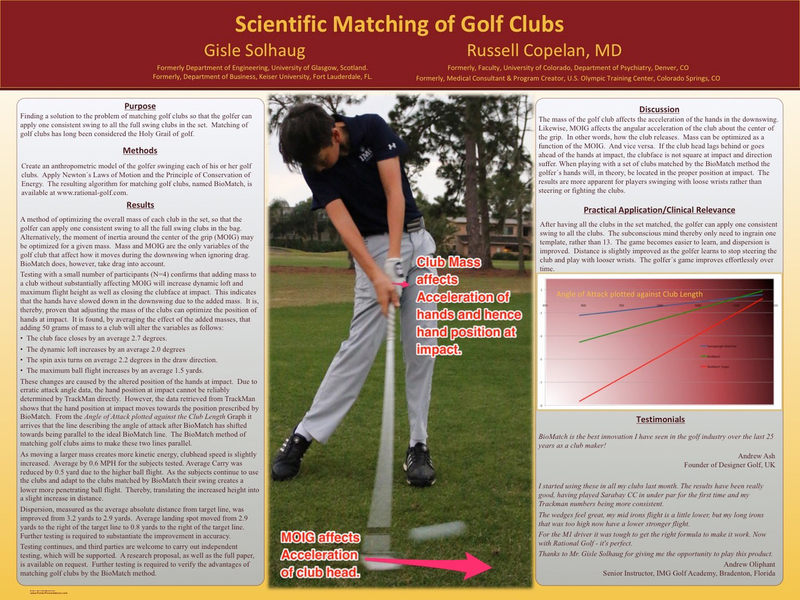 Your BioMatch Index is the modern way to match your set of clubs using the sciences of biomechanics and physics to ensure your muscle memory only needs to learn one consistent swing across all your clubs. Your game will effortlessly improve over time as your subconscious mind adjusts to needing just one swing across all the clubs in your set. You’ll hit the ball further and more accurately. Read an in-depth report on the science behind BioMatch.